Sewing, whether it be making a quilt, or a bag, or a pencil case, should be something that is enjoyable and fun. When things are tricky, or time consuming the sparkle of fun starts to fade. These tutorials and tips are simply things I have personally found easier along the way, and hopefully they are of some benefit to you. What would you like to learn or know more about? Or do you have any tips or ideas that could help other sew-ists? Please send your thoughts and ideas through to us - we would love to hear from you. Do you avoid patchwork quilts simply because they consist of Half Square Triangles? Here are a few quick tips for marking your Half Square Triangles. Fat Quarters are staples of the quilting world, being a handy size for projects. Find out some facts and watch a video on how to cut Fat Quarters. Before learning how to calculate fabric quantities required to make a quilt, I'd often walk out of a store with more fabric than I needed, or worse - not enough. A friend once said that she believed learning something should be free. 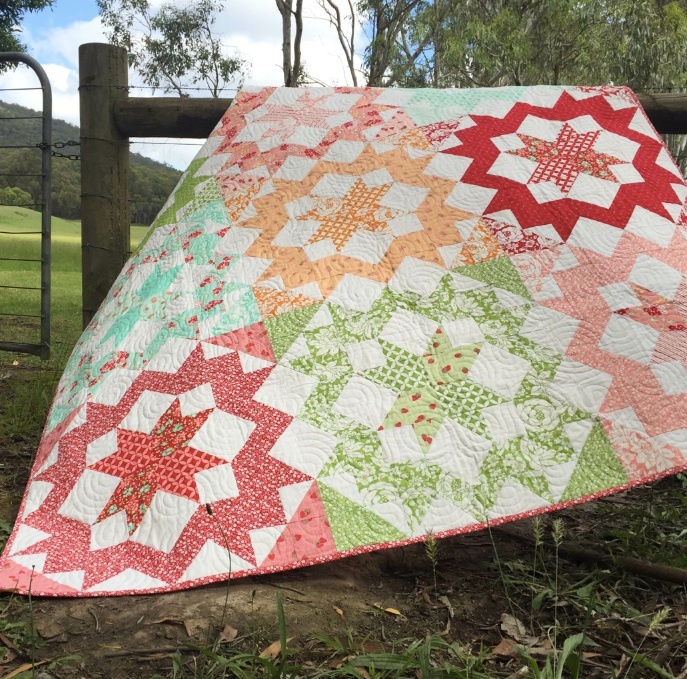 Use one of our free block patterns to learn something new and create a quilt. In all my patterns I include tips, and large, easy to follow diagrams to help make it easier to create your quilt. If Blush has caught your imagination, why don't you make one for yourself? Blush was created using fabrics from the "Hello Darling" range by Bonnie and Camille for Moda fabrics.